Our population is in need of fitness professionals with a background in the prevention, treatment, and rehabilitation of chronic diseases, medical conditions, and disabilities. 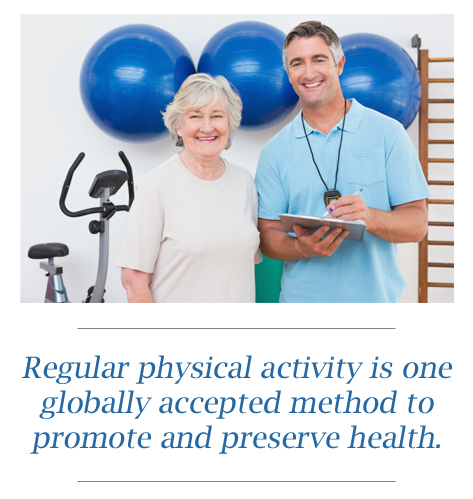 Fitness and allied healthcare professionals working with the aging population must have a higher level of knowledge, skill, and expertise; we also believe that this type of knowledge has the highest growth potential. 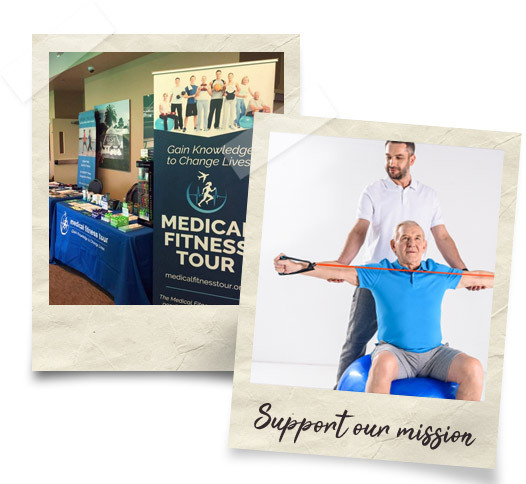 We’ve created The Medical Fitness Tour to offer professionals the opportunity to gain disease and condition-specific education in a city near them. Speaking topics include (but are not limited to): Active Aging, Alzheimer’s, Arthritis, Autism, Cancer, Diabetes, Working with Persons with Disabilities, Fall Prevention, Fibromyalgia, Health & Wellness Coaching, Heart Disease, Joint Replacement, Mental Health Challenges, Multiple Sclerosis, Nutrition, Parkinson’s, Obesity, Osteoporosis, Respiratory Disease, Stroke, and Women’s Health Issues (including pre- & post-partum care). We are excited to bring top educators in the fitness and allied healthcare industry together to present on important, relevant, evidence-based topics. We encourage each speaker to include a call to action for professionals to take more courses and workshops to further expand their knowledge. The Tour sessions are also be filmed and made available on MedFit TV for those who cannot attend live.